Eupatorium hyssopifolium plant. David G. Smith. discoverlife.org (Accessed 11/1/2018). 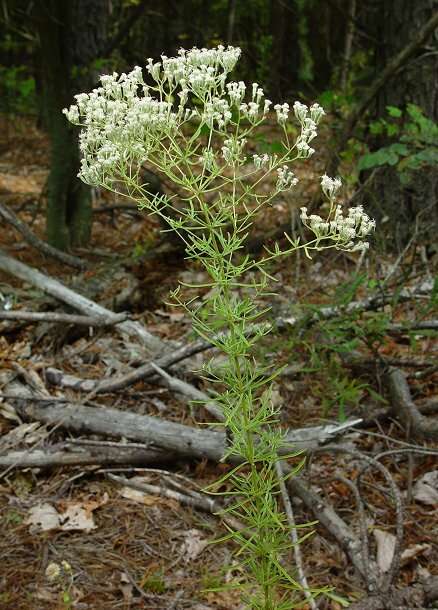 Eupatorium hyssopifolium is a perennial herb, 30-140 cm tall, stems solitary, hairy, upper leaves with dense clusters of suppressed axillary branches. Leaves in whorls of 3-4, almost stalkless, blades linear, 5-10 cm long, 0.5-1 cm wide, sprinkled with tiny translucent dots, margin entire. 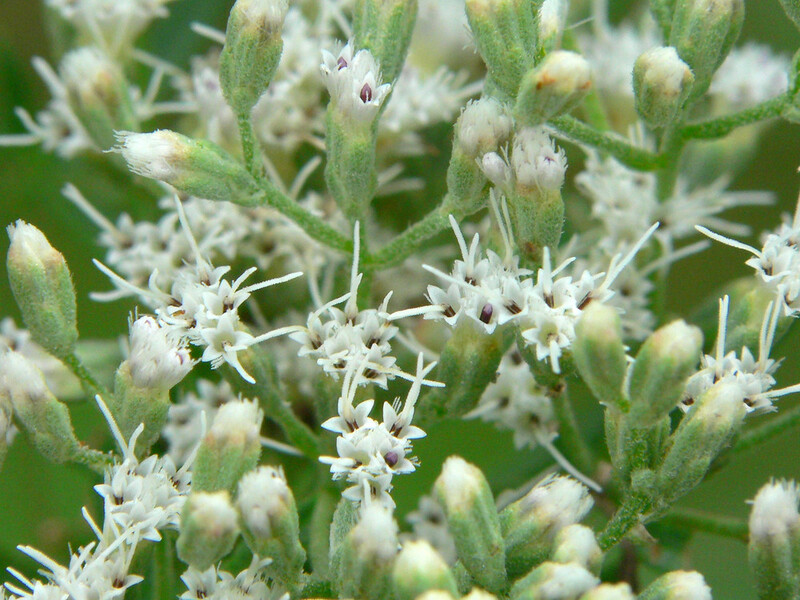 Eupatorium hyssopifolium flowers. modified from MissouriPlants.com (Accessed 11/2018). Fruit dry, 1-seeded, 5-angled plumed achene; wind dispersed; winter plant with persistent, star-shaped flower-head bases (receptacle), about 0.7 cm wide (M. Gargiullo personal observation). Seeds eaten by some birds (Martin et al. 1951). 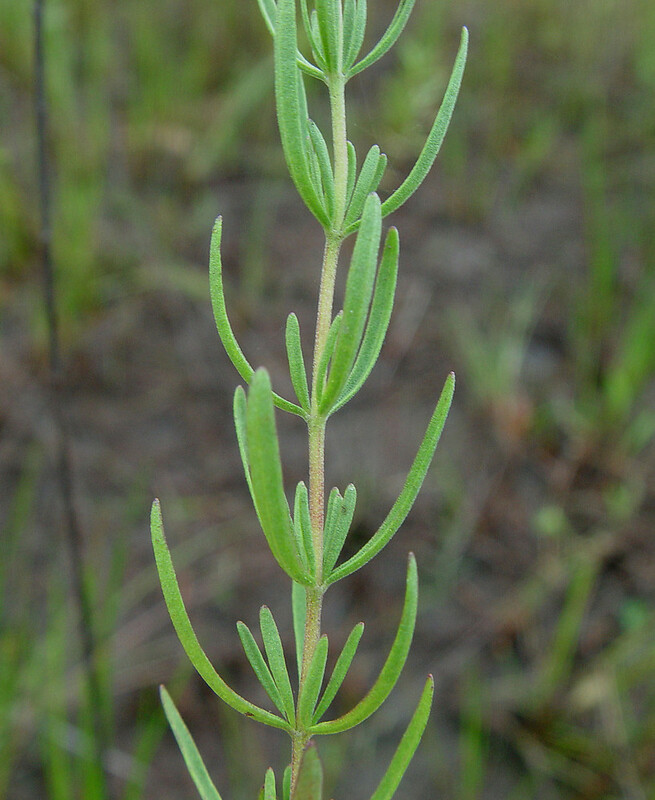 Habitat: Dry sand or soil, open areas.